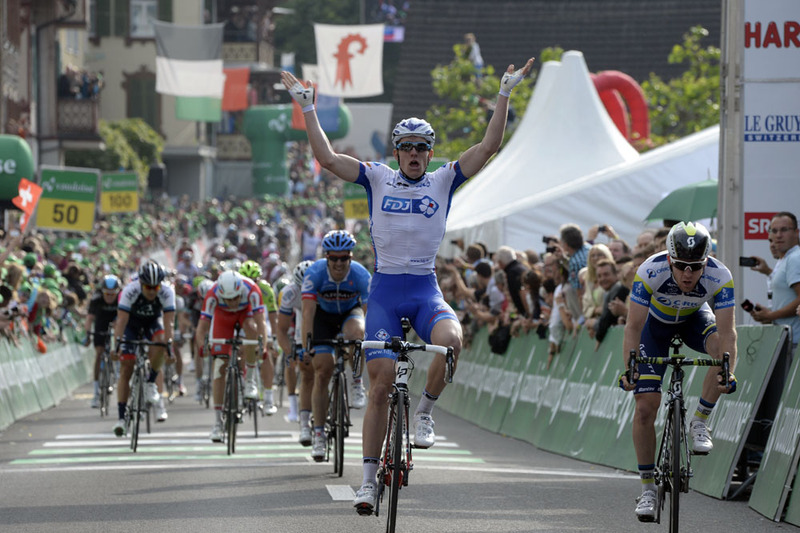 Arnaud Démare (FDJ) won the bunch sprint at the end of stage four of the Tour de Suisse on Tuesday. Démare out-paced rival Matt Goss (Orica-GreenEdge) in a close-fought duel for the line. Tyler Farrar (Garmin-Sharp) came home in third. Mathias Frank (BMC Racing) safely finished in the bunch to retain the overall race lead on a day where there was no change to the top ten of the general classification. The stage’s escape group consisted of Jens Voigt (RadioShack Leopard), Robert Vrecer (Euskaltel-Euskadi) and Olivier Kaisen (Lotto-Belisol). Despite working well togther, the trio were never truly let off the leash by the peloton and their advantage was pegged at well below five minutes. In the final 20 kilometres, Voigt and Vrecer left Kaisen behind and continued forging ahead but by the final 10 kilometres their gap over the Omega Pharma-QuickStep-led bunch had plummeted to only half a minute. Vrecer and Voigt absolutely buried themselves to try and keep the peloton at bay towards the finish, with Voigt’s bike swaying from side-to-side under pressure from the German’s characteristic pedalling style. 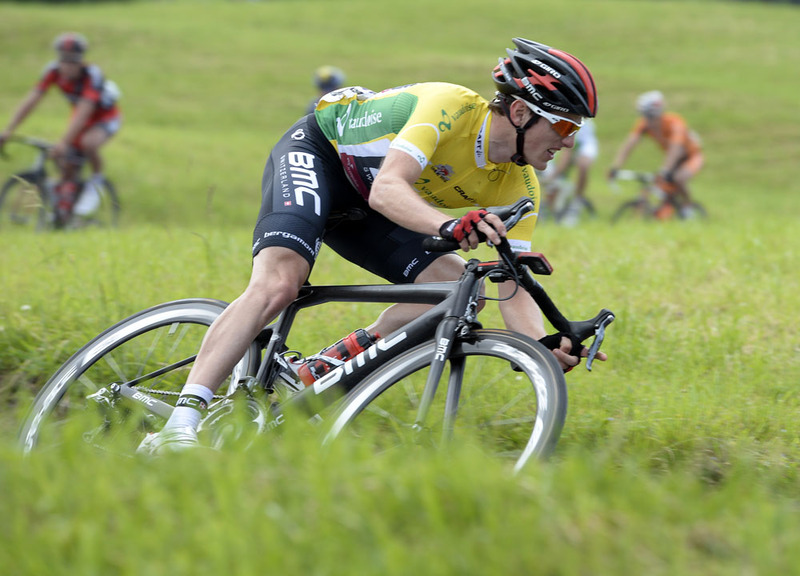 Voigt then attacked Vrecer in the final three kilometres as the Euskaltel man was quickly caught and went backwards through the peloton. 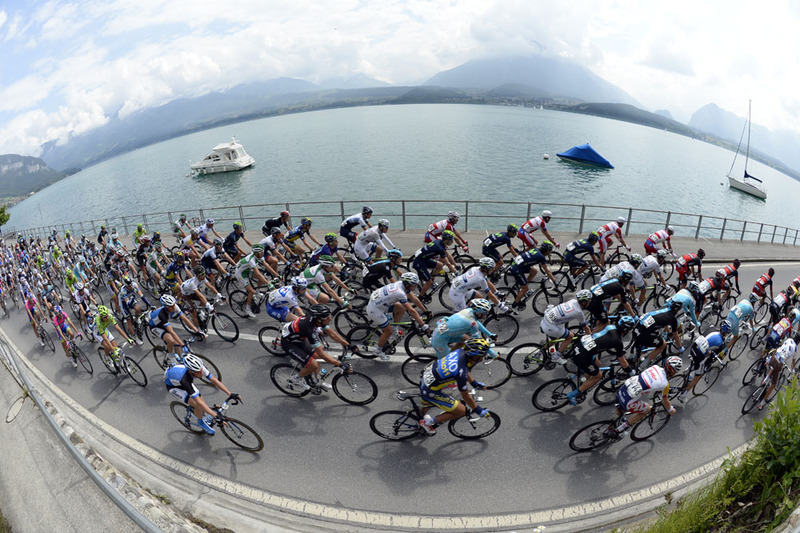 The veteran German’s move was short-lived, however, and the bunch made the catch with just two kilometres remaining. Démare put himself in the ideal position on a tight, right-angled bend a few hundred metres before the line to catapult himself to victory. Tomorrow’s stage is another hilly one, with five fourth category ascents packed into the final third of the day’s 176km route from Buochs to Leuggern.